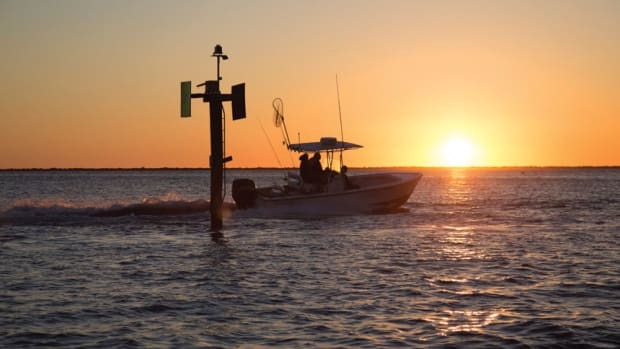 If you&apos;re new to the world of saltwater fishing, or could simply use a skills tune-up, consider enrolling in the Boaters University course Angler&apos;s Bootcamp: The Basics Of Saltwater Fishing. Sign up today and use the code SOUNDINGS for 15 percent off. Releasing a keeper-sized Chesapeake Bay striped bass. My relationship to the fish is far more than just predator-prey, more than a fillet on my plate. Releasing fish is a practical way to contribute to good fishing in my own backyard. Back at the dock after a morning fishing trip, it’s the first question I get from my daughter, Lily: “Papa, did you catch anything?” On a good day — and there are lots of good days on the Maine coast in summer — the answer is yes. But since I’m usually empty-handed, it’s hard to pull the reply off with a straight face, even with a 3-year-old. She asks for proof. I offer none. I tell her that I let nearly all the striped bass I catch swim free. Then comes the inevitable: “Why?” I tell her that I want them to be with their friends and families. She gazes at me, pondering the thought. Does a fish really have a family? Then she moves on. She wants to see what lures I’m using, inspect the handle on my spinning reel. In truth, releasing the fish I catch — even those that reach keeper size on the measuring tape I’ve affixed to the gunwale of my 18-foot Maritime Skiff — isn’t just an act of kindness or a nod to a fish’s emotional or physical well-being. In my case, it’s purely selfish. Fishing is my favorite sport. It keeps me going when work drags me down, when responsibility grinds, when bad news strikes or when the doldrums set in. My relationship to the fish is far more than just predator-prey, more than a fillet on my plate or a trendy way to “eat local” and circumvent the evils of overfishing in far-off seas. Releasing fish is simply one practical way to contribute to good fishing in my own backyard. 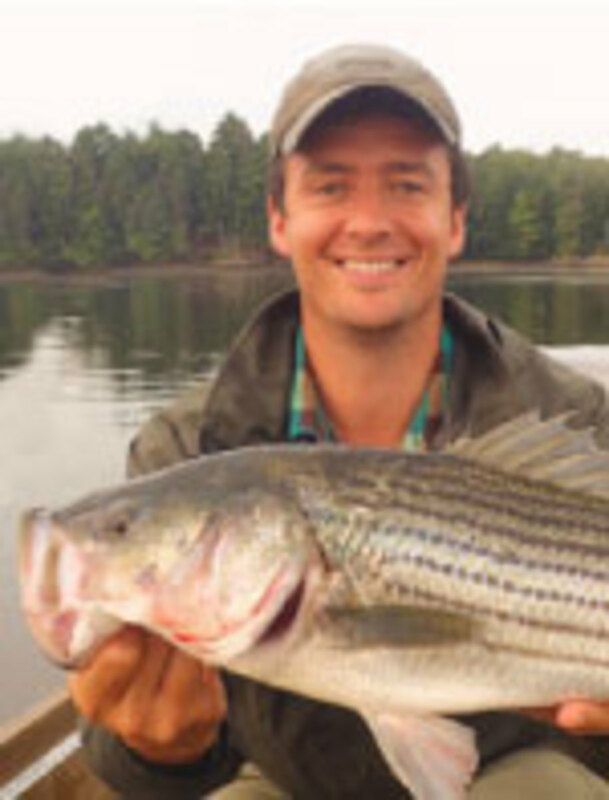 I can remember when there were no striped bass. In the 1980s, overfishing, together with unfavorable environmental conditions, led to a near total collapse of the fishery. I was a boy when it hit bottom, but I recall those fruitless days standing beside my father on the granite fingers that jut off Bailey Island into lobster-buoy-speckled Casco Bay. Back then, it seemed an empty ocean. 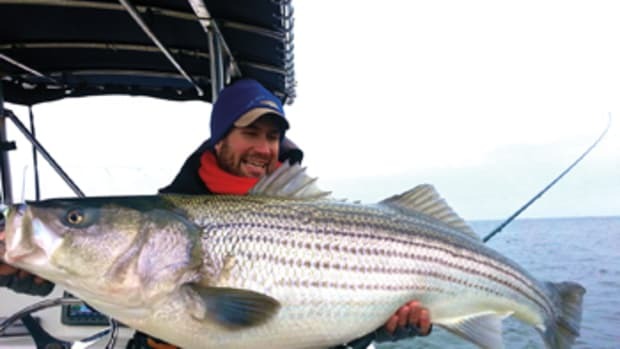 It took years of a moratorium on keeping stripers to bring them back. I want something more for my daughter. Fortunately, things are different now. 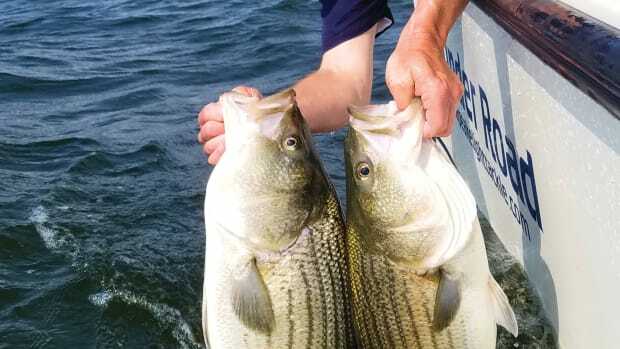 In 2015, the Atlantic States Marine Fisheries Commission estimated there were 180 million striped bass older than 1 year along the Atlantic Seaboard. 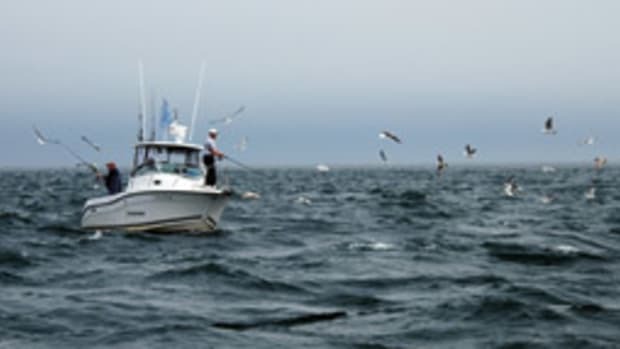 The majority of them partake in one of the most spectacular of gamefish migrations: from Chesapeake Bay to Maine and back each year. Admittedly, if I were to keep one fish — or 10, or even 100 a season — I wouldn’t make so much as a dent in a population that large. Not even a ding. 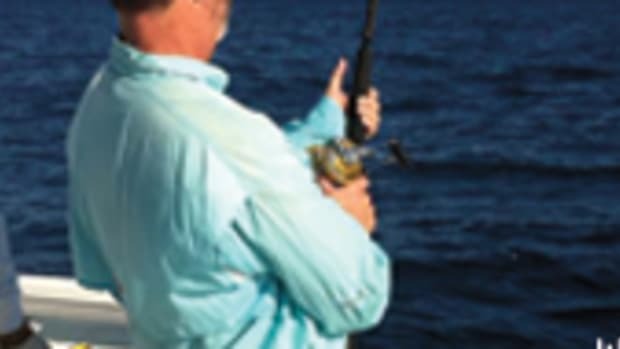 Recreational anglers coastwide took home or accidentally released dead approximately 2.1 million fish, according to government surveys. Together with commercial fishermen, just over 3 million fish were “removed” from the population. But here’s where the story gets complicated. Never mind my 3-year-old; even the scientists don’t always get it right. 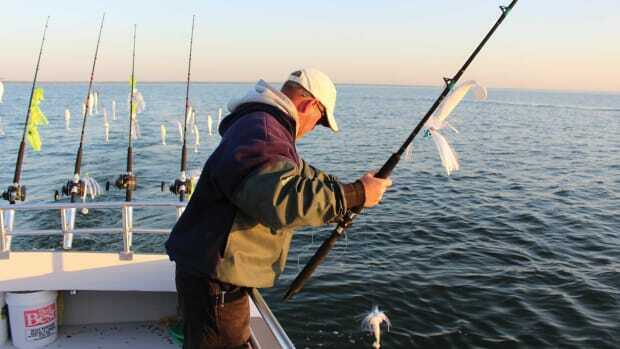 First, many of the millions of fish we do keep annually are part of the breeding stock — that coveted class of older, larger striped bass that spawn each spring in the Chesapeake and the Hudson River. In other words, our most valuable fish, the most prolific spawners, are the ones we covet, target and kill the most. Fisheries managers confirm that “female spawning stock biomass” — the breeders — have, indeed, declined steadily since 2004, despite decades of stringent government oversight and regulations. Though the fishery has not plummeted to the point of collapse, as it did in the 1980s, that trend is real and alarming. The numbers don’t lie: Any fisherman knows that keepers are far less abundant today than they were 10 years ago. When you factor in the weather and the environment, things get even more uncertain. Some years, river conditions around the Chesapeake simply are not conducive to productive spawning. 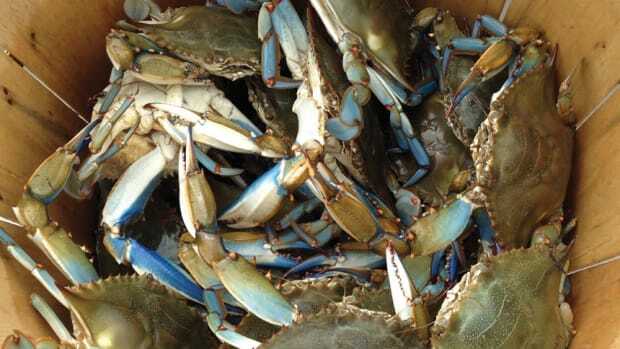 A few bad years in a row — always a risk as the climate becomes less and less predictable — could make that handful of fish you kept (magnified by the multitudes of fishermen along the striper coast) the proverbial last straw. The writer’s daughter knows the best excuse for being out on the water is fishing for striped bass. Maine finds itself in a particularly vulnerable situation. 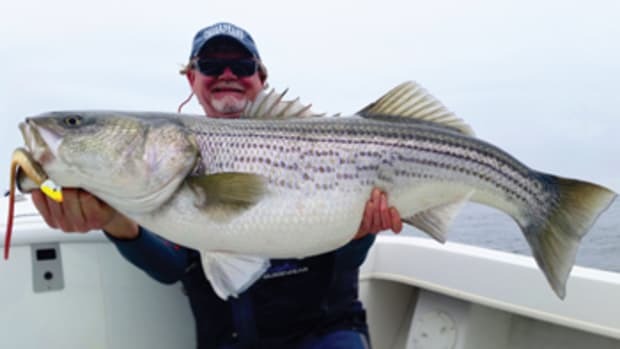 Think of the striper migration as an accordion stretched along the Eastern Seaboard, centered somewhere around such fabled striper haunts as Montauk, New York, and Martha’s Vineyard, Massachusetts. In a good year, the accordion stretches north almost to the Penobscot River along the Maine coast, and south to the Carolinas, with fish abundant throughout. Fewer fish in the population, and the accordion contracts. The music fades. There are only enough fish to reach the Chesapeake to the south, and in the worst of times, they barely reach Maine. Some fishermen, especially near the heart of the striper’s range, still have good fishing in bad years. They tend to fight against more stringent regulation. Those in states with poor fishing get skunked more often and see things differently. And therein lies the challenge. Fisheries management remains a fundamentally political process, not one based solely on science and sustainability. Letting your appointees know how you feel is yet another way of contributing to our favorite pastime. All of this ruminating is far too much information for my daughter, who has found the freshwater hose on the dock and has it aimed at me. 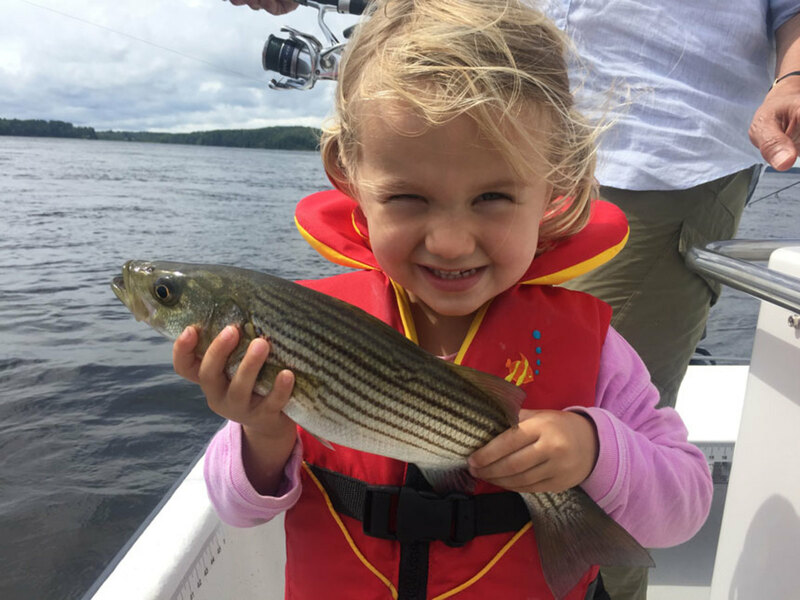 But later in the season, she will ask me again, and I will give her the short answer: I love to be out on the water, and there is no finer excuse to do so than to fish for striped bass. This much, I know she understands. 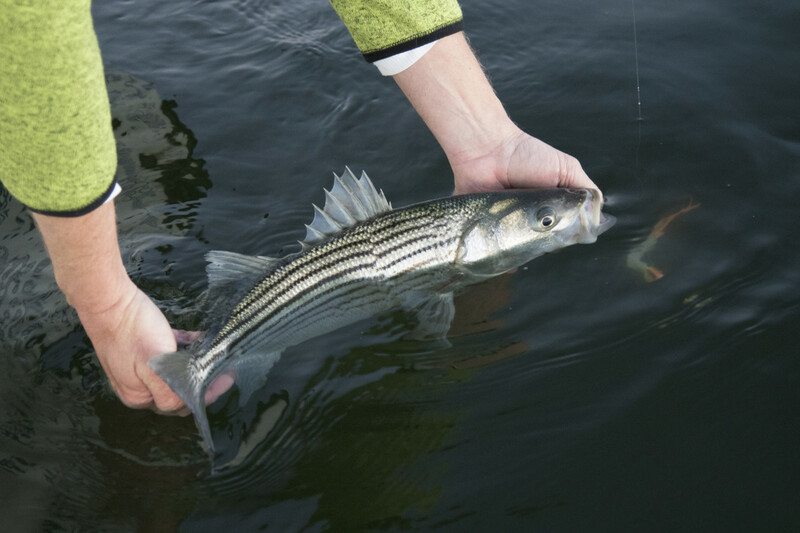 Striped bass are on the move up East Coast tributaries with romance on their minds, so start trolling.